But what would it do for the market’s perception of South Australia’s farm produce? Again – climate change is the big one. As UN climate chief calls for clear report on ‘feasibility’ of 1.5C climate goal, it’s looking as though this goal is not achievable, and climate change could already be irreversible. In 2016 atmospheric carbon dioxide will pass 400 parts per million – permanently. Speed of Arctic change shocks scientists. But nuclear disaster could be imminent, too, as we consider the consequences of a nuclear war between India and Pakistan, with Pakistan upping the ante, with belligerent threats to India. On the so-called peaceful nuclear scene, the focus is on South Africa. South Africa’s corrupt nuclear politics is like a nasty boil that developed slowly over years, and could now be ready to burst. Shadow Courts – The Secret Tribunals That Corporations Use to Sue Countries. CLIMATE AND RENEWABLE ENERGY. An electricity blackout in South Australia gave the Turnbull government the opportunity to renew its attack on renewable energy, even though energy minister Josh Frydenberg and the grid operators admit that the source of energy had nothing to do with the catastrophic outage. However Frydenberg later toed the Coalition’s anti-renewables line. I got some amusement from ANC senior journalist Chris Uhlmann’s misguided rant against wind power. The ABC is always getting blamed for its “left wing” bias – Uhlmann showed the opposite here! World first wave/solar power grid for Western Australia. Climate change shifting rain from Australia towards Antarctica. Urgent need for increased research on climate change impacts on Antarctic sea ice. Australian government has had no modelling done to show how Australia is supposed to meet Paris climate pledgen Australia’s farmers feeling the effects of climate change. Australia’s superannuation funds are backing exploration for fossil fuels. NUCLEAR Australia’s $36 billion splurge on submarines, intended for nuclear later on. 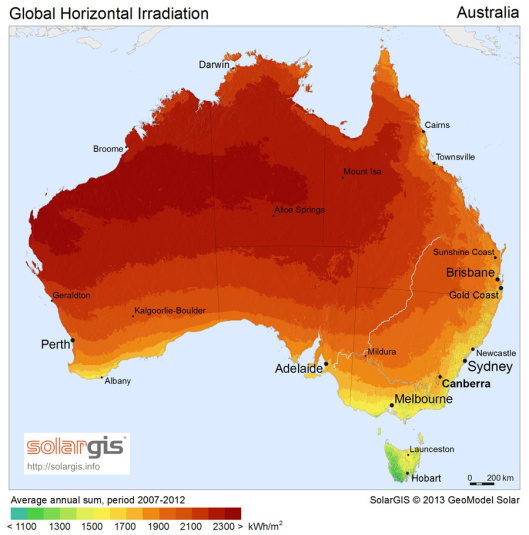 South Australia‘s nuclear dump plan – fool’s gold? – senior Liberal MP. Premier Weatherill either dishonest or ignorant, about Finland’s nuclear waste dump plan. There would be a long delay for money in for South Australia’s proposed Temporary Nuclear Waste Storage facility. South Australian government’s barrage of pro nuclear advertising – making the unthinkable “normal”. A week of anti nuclear protest at Australia’s top target – Pine Gap. Northern Land Council delay agreement on Rio Tinto uranium exploration. EUROPE. The 100 billion pound bill for decommissioning Europe’s old nuclear power stations. AFRICA. Risk of war in Africa escalates with rising temperatures. SOUTH AFRICA. South Africa’s nuclear power programme stalled. Handing nuclear project to Eskom will limit South Africa’s Parliament control, and increase corruption. 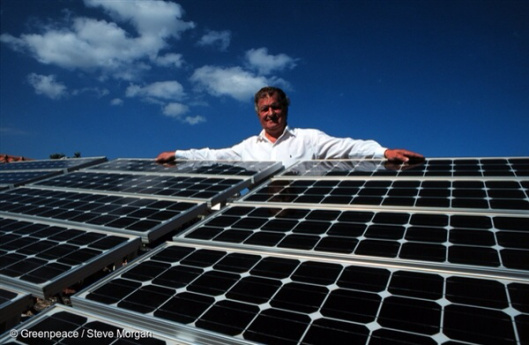 South Africa’s renewable energy success. Obama’s opportunity to reduce America’s nuclear arsenal, and reduce international tensions. Hillary Clinton – less hawkish than Obama. Hillary Clinton and Donald Trump: policies on climate change. Clinton and Trump both dance to the nuclear lobby’s tune. Hillary Clinton, evasive, contradictory on nuclear power, changed policy 9 times. San Onofre’s nuclear wastes a danger to public safety. Opposition to South Carolina becoming a nuclear waste dumping ground. Community protest has stopped development of deep borehole waste disposal method . UK. Hinkley Pt. Nuclear Power Contract Signed Days AFTER New Warnings About Areva-Creusot Defects. At the end of the Hinkley nuclear power story – massive radioactive clean-up costs. CANADA Forest fire risk in Canada much greater due to climate change. JAPAN. Japan busting to market nuclear reactors to India, and busting the Nuclear Non-Proliferation Treaty? Japan to formally decide to decommission Monju nuclear reprocessing reactor by end of year. Fukushima. Japan mulls legislation requiring local government approval for restarting Fukushima No. 2 nuclear plant. Fukushima ice wall failing to deliver on promise.TEPCO Delays Replacing Tainted Water Tanks. High levels of radioactive cesium pooling at dams near Fukushima nuke plant. GREENLAND. Climate change will expose top-secret US nuclear project in Greenland. IRAN. Iran complains that international financial sanctions are not being lifted quickly enough. The next step in the international nuclear waste dump campaign from the government is “community consultation” and they are visiting 100 sites around SA. People’s opinions will be used to gauge whether there is community consent or not. It is a careful submission, thorough, and with qualified support for the nuclear fuel chain. On URANIUM MINING – he recognises that the market is at best uncertain. On URANIUM ENRICHMENT PROCESSING & FUEL FABRICATION –he is in favour but with some serious qualifications. Roger Smart’s Submission to South Australia Nuclear Fuel Chain Royal Commission. – a very short submission on the subject of nuclear wastes. It canned be summed up as aSong Of Praise for the Synroc Technology for storing nuclear wastes. Nuclear Waste Management (NWM) — an Adelaide based Company founded in 1985…….. In 1991 NWM signed a Heads of Agreement with Mayak Production Enterprise, owned by the Russian Ministry of Power and Energy and Greenlawn Association of the Russian Federation to commence a study for the construction of a SYNROC plant. The Russians selected SYNROC as their preferred waste form for the treatment and disposal of their high level waste. They also commenced geological studies to find sites for the disposal of SYNROC in deep drill holes. Nuclear accident much worse than reported , April 28, 1993 The nuclear accident at the Tomsk-7 reprocessing plant in Siberia on April 6 was much bigger than first reported, and now may seriously impede expansion of the nuclear fuel cycle in Australia. Spokesperson John Hallam for the antinuclear groups Friends of the Earth and Movement Against Uranium Mining said, “Proposals to build a replacement research reactor in Sydney and a nuclear waste repository in the NT based on Synroc technology would be compromised by a public realisation that both projects depend on the same sort of technology for waste handling that failed so badly at Tomsk”. I have blogged about this before. Attempts at selling contaminated food in the market of people’s lives by nuclear advocates has to stop in Japan and everywhere. They toured the CAMECO Fuel Fabrication and Conversion facilities, got advice from Cameco about uranium mining. The Royal Commission is just back from getting itself “informed” by the AREVA and EDF companies, and are about to take off for Canada to be “informed” by Canada’s nuclear busineses – which are all too well known for corruption. Burdened by losses, EDF’s foreign activities are currently unable to finance the increasing requirements at home, where the production costs of nuclear plants are rising by around 5% each year and investment needs are increasing. The international trend is not for a nuclear renaissance but for a boom in renewable energy, and France will not be able to export significantly more reactors, or to develop new reprocessing contracts abroad under profitable conditions. To understand just how far the French nuclear industry has fallen in recent years, look no further than the value of EDF and Areva. Since 2007, EDF’s stock price has fallen more than 70%; Areva’s by more than 85%. If Areva weren’t 83% government-owned, it almost certainly would have declared bankruptcy by now. Faced with declining overseas markets and increasing expenditure at a domestic level, EDF and Areva appear to be heading for a terminal decline. The recent industrial restructuring will not save the industry. Only a genuine reorientation can prevent further disaster for the French economy. Areva has now suffered four years of losses, including a record figure of €4.8 billion in 2014 and debts of €5.8 billion against a turnover of €8.3 billion. The group is facing bankruptcy and cannot sidestep a far-reaching redistribution of its business operations. Despite less worrying results, the EDF group, whose fifty-eight nuclear reactors operated in France provide more than 75% of the country’s electricity, is also experiencing difficulties. Boosted by its turnover of €72.9 billion, the electricity company recorded net profits of €3.7 billion in 2014. But its debt situation – now at €34.2 billion – is increasingly a matter of concern. In the era of the energy transition, in which France has set itself the objective of lowering the share of nuclear power in its electricity generation to 50% by 2025, the future looks grim for the two companies. With 8 GW of wind power and 5 GW of solar power installed between 2000 and 2013, France has developed these energy sources 2.5 times slower than the European average. France has only been able to sell three reactors abroad in the last eight years – one to Finland and two to China. But while France is providing political support to domestic and exported nuclear power, it is also neglecting its renewable energy industry. As a result, it is lagging far behind in international competition in this field, particularly in the two sectors currently experiencing massive growth, namely wind and solar power. Out of the thirty-one countries operating nuclear power plants, twenty-five have never used or have ceased to use reprocessing. The La Hague plant has lost practically all of its foreign clients over the last decade, with the exception of the Dutch operator, which has only one reactor: it therefore only provides reprocessing service to 0.2% of installed nuclear capacity abroad. Areva holds almost around 90% of this global market, but currently the market consists almost solely of EDF. The acquisitions of Constellation Energy in the USA by EDF and of Uramin by Areva cost them losses of at least €2.7 billion and €1.5 billion respectively, while the additional costs and delays of the Finnish EPR account for at least €3 billion more in Areva’s losses. Alone, these three items represent more than €0.5 billion in losses per year averaged out over the last ten years. Burdened by losses, EDF’s foreign activities are currently unable to finance the increasing requirements at home, where the production costs of nuclear plants are rising by around 5% each year and investment needs are increasing. Lifetime extensions at nuclear plants which No2NuclearPower nuClear news No.75, July 2015 8 Are on average more than thirty years old, could cost at least €110 billion. EDF does not seem to have the financial and industrial capacity today to successfully extend the life of all its reactors. Areva has even less solid foundations than EDF. The Okiluoto fiasco with costs currently estimated at €8.5 billion as against the €3.3 billion initially projected and delays of more than nine years, significantly reduces prospects for new exports. Areva also suffered a great failure with the construction of a MOX plant at Savannah River in the USA, which has more than fifteen years of delays and soaring costs, to the extent that the project is all but shelved today. The situation calls for not simply restructuring but a totally new direction. If the fundamental principles that have precipitated the French nuclear industry into its current crisis are not acknowledged, much effort and public money will be invested in an approach which is doomed to fail. The international trend is not for a nuclear renaissance but for a boom in renewable energy, and France will not be able to export significantly more reactors, or to develop new reprocessing contracts abroad under profitable conditions. The future of the French nuclear industry must urgently shift its focus to the maintenance of current reactors and decommissioning and nuclear waste management services. The EPR saga shows that even countries with extensive nuclear expertise and experience can mess things up. The EPR might have demonstrated the potential for mass production to drive down costs – but in reality it is demonstrating the opposite. 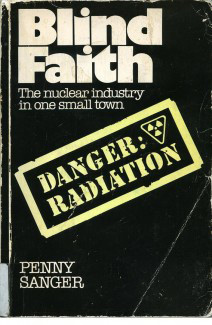 Even before the EPR fiasco, the large-scale, standardised French nuclear power program was subject to a negative economic learning curve – costs were increasing over time. The EPR represents a negative learning curve on steroids. France has now decided to rescue Areva yet again – this time by combining the nuclear power station construction business with state-controlled power operator EDF, its biggest client. Only a few years back, in 2010, Areva’s finances had been restored by the forced sale of its transport and transmission activities to industrial group Alstom and electrical engineer Schneider.